George Pressley joins us to provide education on Seller Financing, a powerful technique every investor should be familiar with! It can be utilized for both residential and commercial properties for "buy and hold", flips, land development or wholesale transactions. 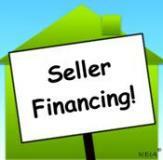 Seller Financing is just what its name implies: the seller finances your purchase and "carries the paper". Buyer savings can be meaningful with the potential of a significantly lower down payment, lower or deferred interest and an absence of points and junk fees. Seller Financing is becoming more attractive to sellers as the Puget Sound real estate market continues to change, creating more opportunities for buyers! This presentation will provide an understanding of the essentials of seller financing and how it can be used to meet the objectives of both the buyer and seller. We will follow this talk with a class on the related contracts by Chris Casey of Casey Law, PLLC on March 14, 2019. 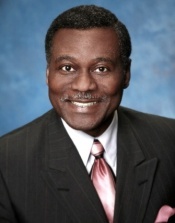 George Pressley is a Charter Member of REIA with more than three decades of experience in the real estate industry, currently serving both as a real estate broker for Green Path Real Estate and in mortgage lending as the Designated Broker of Integrity First Mutual Mortgage. George is committed to providing service that is above and beyond expectations and works with utmost integrity that is beyond reproach. George has extensive mortgage banking and real estate investing experience, conducting acquisition feasibility studies of residential and commercial properties, reviewing and analyzing all types of financial documents such as bank statements, profit and loss statements, balance sheets, tax returns, trust, notes, deeds and other financial contracts for individuals and business entities. George hails from New York and achieved a Bachelor of Arts from Hunter College in the Bronx. He also holds a Master of Urban Planning degree from the University of Washington. George is a valued REIA Member and frequent REIA educator. Learn from the best at "pitch free" REIA meetings and classes and enjoy networking that is second to none with "like minded" real estate investors. Connect with the REIA Business Members on hand to build or grow your real estate investing team! Payment Details: Everett REIA Chapter Meetings are FREE to REIA Members with registration! Guests are welcome to attend for $25 with registration. Event fees are payable by cash, American Express, VISA, MasterCard or Discover at the door. Advance registration is strongly recommended to ensure seating!